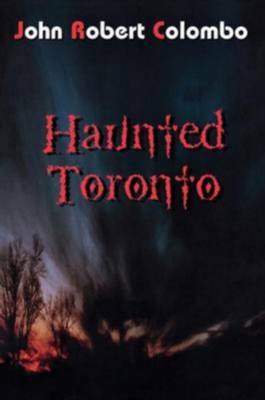 Toronto has hosts of ghosts that go as far back as the War of 1812...and others as recent as the Nineties. From the spirit of the Keeper of the Gibraltar Point Lighthouse to the four spectres that haunt the stairwells and corridors of Queen's Park, our most conspicuously ghostly presences and sites are all revealed in Haunted Toronto. Sixty-six haunts and paranormal locales are captured in dramatic detail. Arranged like a guidebook for walking or driving tours, this richly illustrated book is the perfect companion for spectre-seeking urban adventurers. Whether or not you spot a ghost or two in Toronto, you'll encounter the fascinating, sometimes morbid lore of the city's past, and you're guaranteed never again to look at its historic sites in quite the same way. "This 15th published gathering of the weird and wonderful by Canada's premier collector features 66 Toronto sites, geographically arranged by section of the city, each with its own strange tale or other association with the mysterious."